There have been numerous studies recently revealing the fact that people need to experience a peaceful, natural environment in order to feel healthy and whole. The practice of yoga is also about finding peace and health, from the inside out. 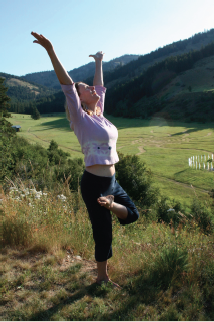 The expansive contact with Nature at Skalitude enlivens a sense of peace and wholeness…practicing yoga at Skalitude creates a unique energetic opportunity to deepen the connection to health from both without and within. The Lodge fits 18 people comfortably for yoga. The radiant-heat bamboo floor helps tired bodies sink into relaxation, and the rustic wood interior is a perfect container for holding the energy of a yoga practice. For those seeking benefits of ‘hot yoga’, the sauna offers a chance to sweat and remove toxins, warm up muscles and ligaments before a practice. 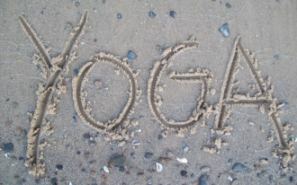 There are endless places on the Land for yogis and yoginis to have their own special practice spot, to connect and sink roots deep into the Earth. Breathe the fresh air, drink in the aromas of the ground and the trees, commune with the birds and animals that cohabitate in this valley – celebrate existence! Make yoga a part of your Skalitude experience! Basic props are available, for either a self-led practice or led by an experienced local teacher. There are also usually at least two yoga retreats a year by wonderful Seattle-area teachers, check the Events page for a current schedule.